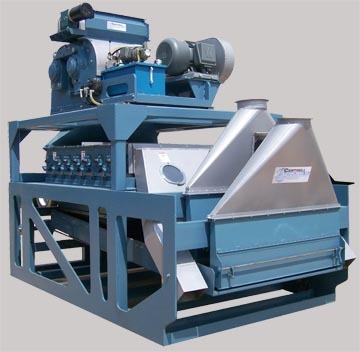 36" Twin Roll Huller - has proven to be the highest capacity and most efficient way to hull bulk oil seeds, which include cottonseed, sunflower, soybean, peanuts, etc. 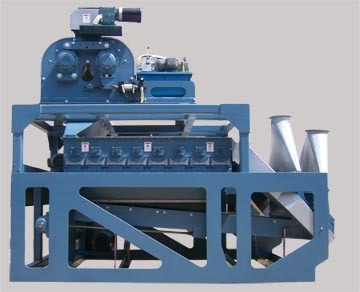 Twin roll hulling has proven to be the highest capacity and most efficient way to hull bulk oil seeds, which include cottonseed, sunflower, soybean, peanuts, etc. Cantrell International has significantly improved on this technology by offering the most advanced huller on the market today. 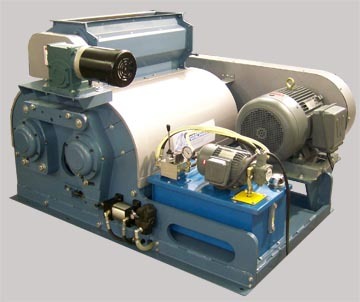 The hulling process starts with an adjustable metered roll feeder designed to offer complete consistency and uniformity to the flow rate. By utilizing an adjustable feed damper and variable speed control, an accurate and reliable feed rate can be maintained. The heart of the hulling process is the twin, rugged 18" dia rolls equipped with removable huller knives. These twin rolls are driven at a ratio to enhance the cutting process thus minimizing the amount of uncut and recycle seed. This ratio combined with a spiral lead on the cutting edges allows the highest percentage of open "hulled" seed available to the separation room. The replaceable huller knives are manufactured from the highest quality alloy and hardened to 52R for extra long process life. 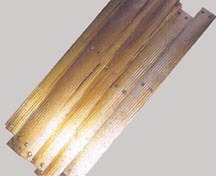 Having removable hulling surfaces allows Cantrell to tailor the knife profiles to fit the specific hulling requirements of the wide variety of oil seeds processed. All huller knives are manufactured from a single fixture giving absolute interchangeability for all replacements. Protecting the machined huller knives while they are in operation is accomplished with hydraulic cylinders and relief valves that will instantly open the rolls automatically should any damaging contamination come in with the seed stream. Rugged, reliable, high capacity, low maintenance and economy are the many reasons more processors are changing to Cantrell's twin roll huller. 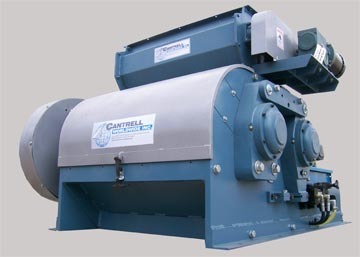 THE 36" TWIN ROLL HULLER & CANTRELL BEATER / SHAKER IS PRIMARY TO PRODUCE HULLS WITH A MINIMUM OIL CONTENT BY EFFICIENTLY BEATING THE HULLS TO REMOVE THE HIGH PROTEIN FINISHED MEATS. 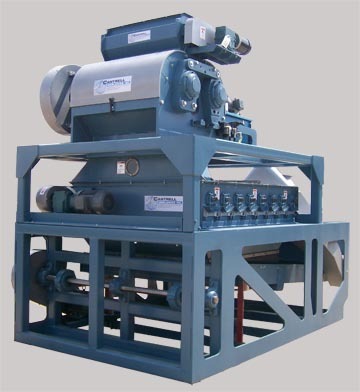 THE COMBINATION CONSISTS OF AN 36" TWIN ROLL HULLER, EIGHT-CHAMBER BEATER SECTION MOUNTED ABOVE A SHAKER SEPARATOR TRAY.